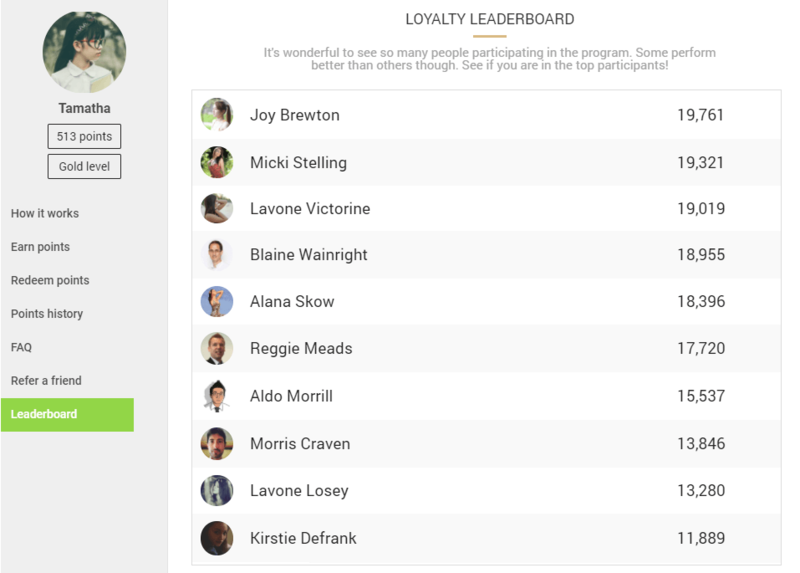 Inspire a little bit of friendly competition by adding a leaderboard to your Loyalty Hub. The leaderboard shows which members have the most points. Customers can see their rank based on their point balance in a weekly and overall summary list. A leaderboard rouses a competitive spirit and encourages customers to get to the top by staying active in your loyalty program. Keep in mind that Antavo only provides the data which you can use show your customers how they rank. It’s totally up to you how you position the information and design your leaderboard in your webshop environment. We recommend adding it somewhere that’s noticeable, so it will attract attention – even from customers who aren’t yet active in your loyalty program.